Sydney Davies is used to being in the spotlight. But the former model turned fashion designer isn’t used to family secrets. Sydney is sent to dig up the past. What she finds instead is Deacon and a case of a missing girl with a link back to her life in the fashion industry. Deacon McKnight is hardly ever surprised due to his work as an investigator. But then he finds a woman with a shovel in his backyard in the middle of the night. And that is just the start of surprises. Now Sydney’s life is in danger because of his case and Deacon must decide if some things are better left hidden. I've probably said this more than I could count but I'll say it again anyway... It's always been nice to go back to Keeneston. Until now, I still can't get over the idea that Keeneston is an imaginary place. I would seriously move there anytime if I can. This next installment to the Forever Bluegrass was even better than the first one. There was an outpouring of emotion right at the beginning. As someone who have read all the Bluegrass novels, I felt like I was part of the town already and that's why I could relate to how the people felt at every turn of events as I would in my own hometown. I liked the idea that the heroine was introduced by her grandmother to the hero in a very unique manner. And I liked how the hero was already half in love with her already even before she knew of his existence. Of course, I love that my favorite Kathleen Brooks character - Ahmed was very much into this story (as any 0ther character was). It made me look forward to how things will be if it's his daughter's turn for a love story. And his interactions with the dog, Robyn was really hilarious and reminded me of the 'old times'. 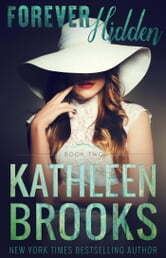 One of the things I love most about romances written by Kathleen Brooks was the fact that the main characters were aware of how they felt for each other even if it's just a little past the middle of the book. Most romances tend to circle around the characters feelings and only 'come into the open' about near the end. Kathleen's were never like that which is why you could always expect a good conflict and sub conflicts when reading her novels. This book was complete with suspense, romance, humor and love. The people of Keeneston, the Davies family and the new generation delivered a great story of humor, love, friendship and family. Dinner with the Davies is always nice to watch and I always looked forward to how the other party will handle it. I'd say Deacon did a great job at it. And no doubt, Sydney's grandmother, Ruth helped him a whole lot. I enjoyed everything about this book and I can't wait to read the next one.